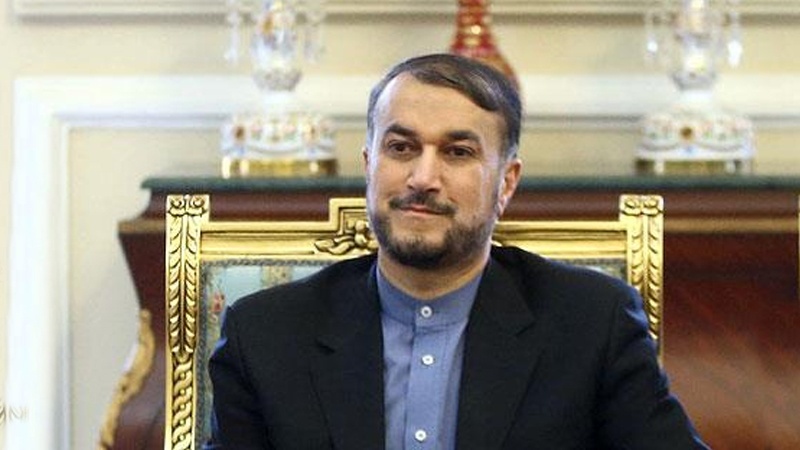 Condemning the US intervention in Syria, Iranian Parliament Speaker Special Aide on International Affairs, Hossein Amir-Abdollahian warned that Washington should stop terroristic games and warmongering in Syria. 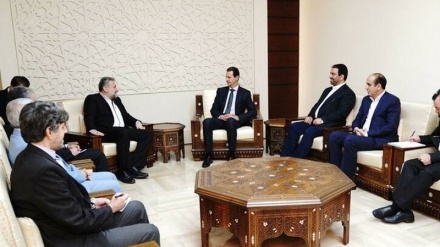 Iran press/ Iran news: He made the remarks in a meeting with Chairman of Iran-Syria Parliamentary Friendship Group Mohammad Hossein Ragheb al-Hossein and Syrian Ambassador to Tehran Adnan Mahmoud in Tehran on Thursday, reported Mehr news Agency. 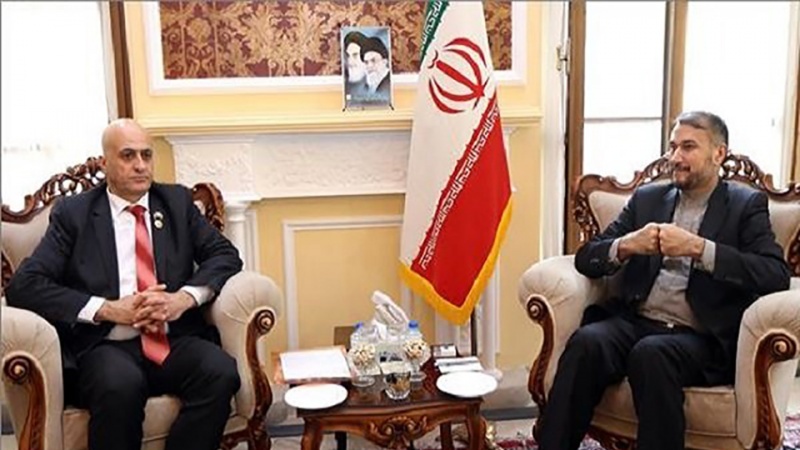 Hossein Amir-Abdollahian met Chairman of Iran-Syria Parliamentary Friendship Group Mohammad Hossein Ragheb al-Hossein on Thursday. 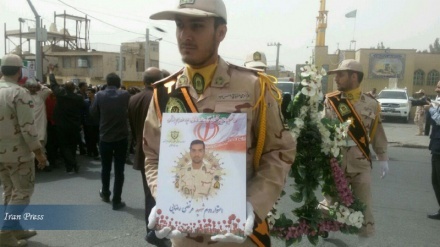 “The US should stop its terroristic games and warmongering in Syria and leave the Syrian people alone,” he said. 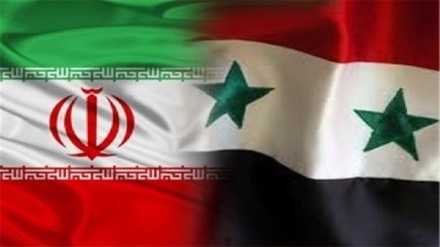 The official noted that despite the White House’s wish, Iran will continue its cooperation with Syria against terrorism. 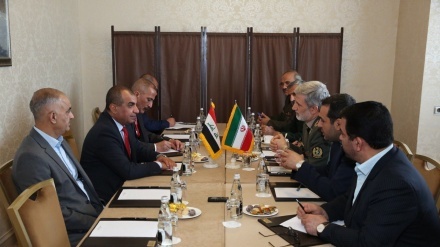 Ragheb al-Hussein, for his part, expressed gratitude toward Iran for cooperating with his country to stand against terrorism. 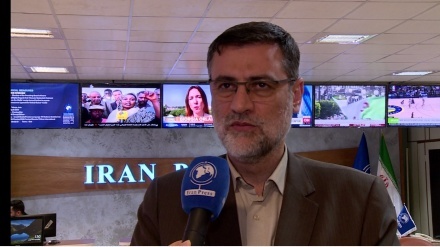 Furthermore, on the same day, in a meeting with Malaysian Ambassador to Tehran, Rustam Bin Yahaya, Iranian Parliament Speaker Special Aide on International Affairs, said that the fear that US President Trump induces in other countries for doing business with Iran is far greater than the actual impact of the sanctions. 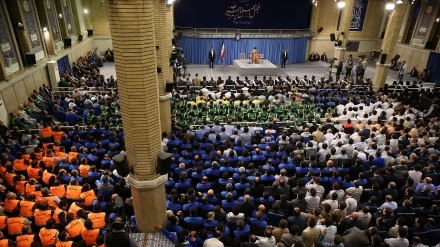 He also voiced confidence that the US psychological sanction warfare will not yield any results. 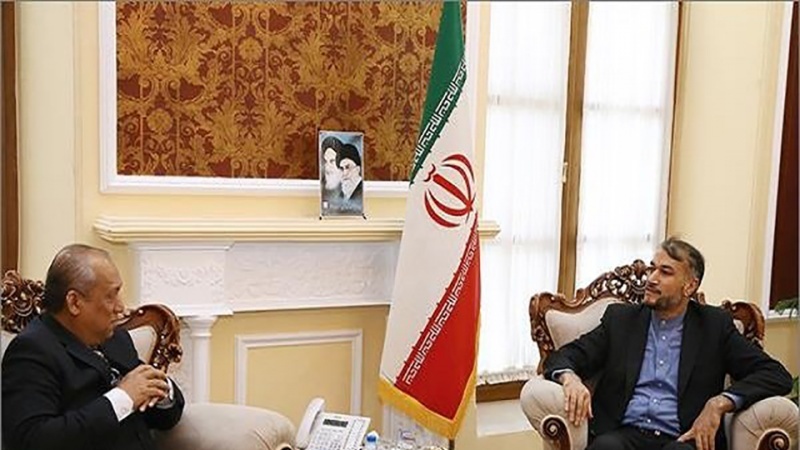 Hossein Amir-Abdollahian made the remarks in a meeting with Malaysian Ambassador to Tehran. “Unfortunately, the pace of the crisis in Myanmar is far quicker than the pace of finding solutions for its settlement,” he added. Amir-Abdollahahin further described Malaysia’s measures with respect to the situation of Rohingya Muslims as “realistic”. 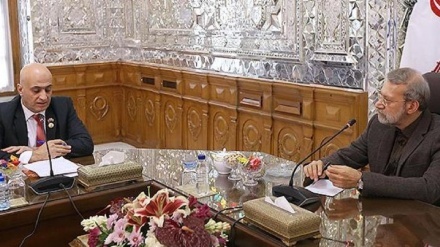 The Malaysian ambassador, for his part, noted the new round of US sanctions against Iran, stressing that his country is looking for ways to remove the obstacles and facilitate transactions with Iran.